Visit Plymouth Central Library and treat the whole family to a day of adventure and exploration through literature! Interact with Plymouth City Museum and Art Gallery by playing 'The Lost Index', a smartphone adventure app which creates a virtual story world. "As the museum loses control, can you defeat the imposters and secure the future?" Brought to you by Emma Whittaker and James Brocklehurst, supported by Expanded Narrative. Award winning children’s writer Joanna Nadin joins us to talk about her popular Penny Dreadful series. They join us to entertain with magic and tricks to astound and amaze you. Join author Royston Wood as he reads from his popular children’s series Ruff and Tumble. 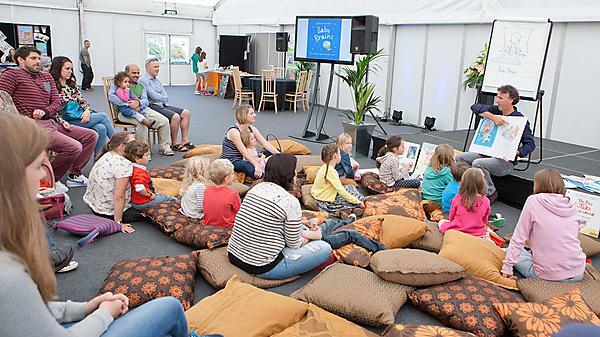 Learn more about Plymouth International Book Festival 2014.